The ability to use social media to build an audience and how to use it to promote business or youth-driven projects was the aim of the Social Media Training held by IPKO Foundation and Active Chance Foundation last week in A.U.K. Considering the importance of Social Media in modern times we are living in, 30 youngsters had the opportunity to gain essential digital skills which are required to be active users of Social Media channels. The participants were students from high schools who came to learn, engage and exchange new ideas regarding Social Media terms and practices. The workshop was divided in two main sections: The Introduction and Social Media in Practice. The first part of the training was held by IPKO Foundation representative, Zana Cana, who is directly involved in this field, and manages Social Media channels of IF in order to promote its projects and events. From dismounting the term Social Media to sharing its own experiences with participants, IPKO Foundation for two hours gave the audience an introduction to, as well as basic information regarding, the Social Media field. The second part of the training was left for the Social Media Expert, Mike Jervis from Active Change Foundation. Mike explained the power and the importance of Social Media Channels and how people can affect, encourage, build, promote, and inspire through Multimedia tools. During the training the audience had the chance to learn also about the huge campaign #NotInMyName, initiated by young Muslims in London against ISIS and other terror organizations, created and supported by Active Change Foundation. 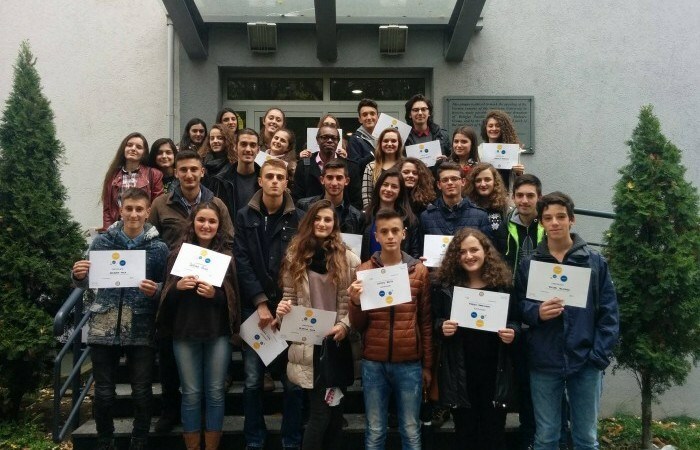 The workshop was part of A Violence Free Future project, being implemented by Rotary Club Prishtina International – RCPI with the support of U.S. Embassy Pristina, Kosovo and RIT Kosovo. Social media is not only about networking. It is also about spreading ideas!